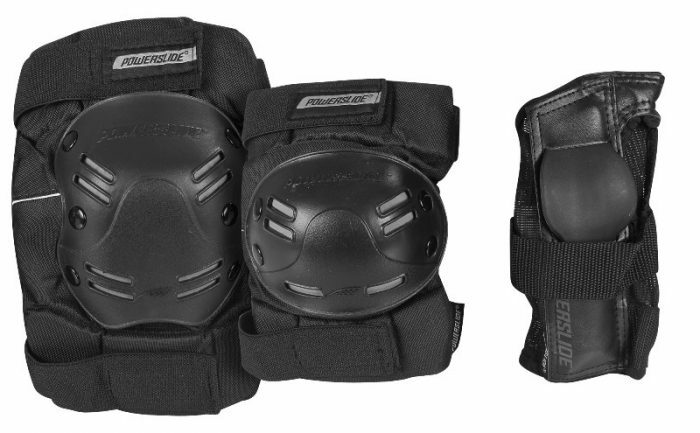 Powerslide “Standard” knee and elbow pads have an anatomically shaped body for perfect and snug fit. The outside material of the pads is made of very durable 600D nylon. The cotton sock is very sensitive on the skin and comfortable to wear. In conjunction with the double strap closure system it keeps the protector perfectly in place and doesn´t slip in case of a fall. This wristguard features two big size anatomically shaped composite splints, which offers maximum protection when you slide and fall. The mesh material offers air circulation to optimize the comfort during skating. The triple strap fixation keeps the wristguard firmly on the user’s hand.